Jirafa wild life yellow customized sunglasses are those wildness spirited sunglasses, which can infuse wild charm on any dull party scene. This customized sunglass can be handed out during jungle themed parties or during retro themed parties, where party zombies are always on prowl of some cool, yet insanely hot party favor. You can buy bucket load of these party sunglasses at fractional costs. 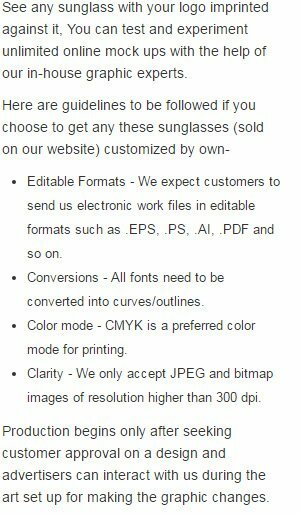 We offer value discounts on bulk orders of this printed sunglasses. Highlights –4 -Color process highlight. Giraffe wild life imprinted lenses. Yellow glass frames.